If one thing is certain in this life other than "death and taxes", it's that as the number representing your age skyrockets, the one representing your "disposable income" plummets. Now at an age I once found impossible to count to, I find to get the best comics out of such 'free' money, means I'm starting to collect writers rather than characters. One of the scribes topping that list; Ed Brubaker. Of all the upcoming Avengers titles Marvel has cooking, the one I'm looking forward to tasting is Ed and Mike Deodato's Secret Avengers. With his creator-owned book Criminal better than any pulp-fiction page-turner ought to be, his current stretch on Captain America one all those ahead will be compared too, and his innings on Gotham Central helping to make that book DC's best kept secret for years, you know Brubaker plus any kind of 'secret society' is going to be good reading. 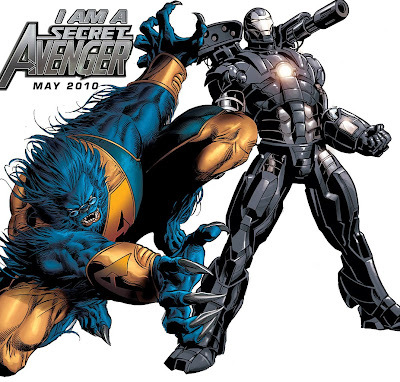 Today Marvel let slip two secret holders will be War Machine and the Beast, which is great news for character driven shoppers, and like having your cake and eating it too, for folk like me. 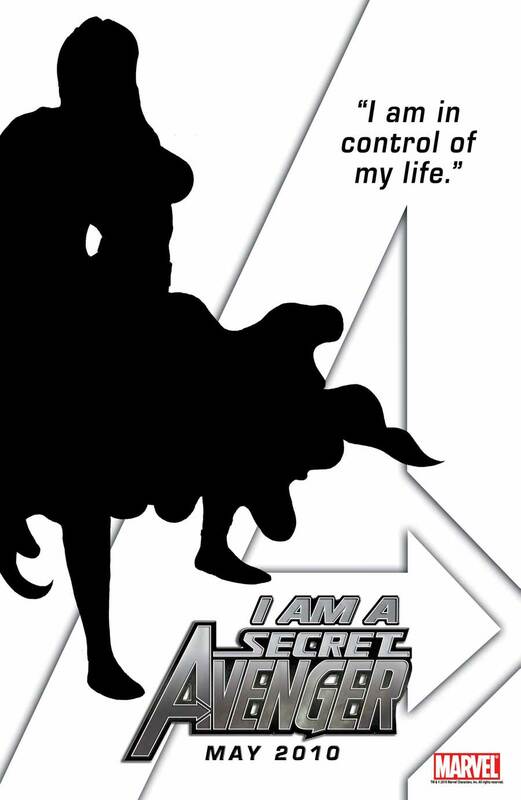 Plus if this teaser image still to be revealed, ends up being a sane Scarlet Witch, well that will just make Secret Avengers the best excuse for disposing money you can buy.